But First – Let Me Digress. I’ve been hearing and reading about the problems with ADDIE for almost as long as I’ve been in the business of performance-based Instructional Design (ID) and Performance Improvement (PI). That would be since 1979. The debate about ADDIE – IMO – is as silly as the debate about Formal and Informal Learning IMO. The starting point is always Informal – and until somebody decided to make it more Formal – a little more Formal or a whole lot more Formal – it would stay forever Informal. And maybe that’s cool. Maybe that’s most appropriate. Maybe that’s really best. 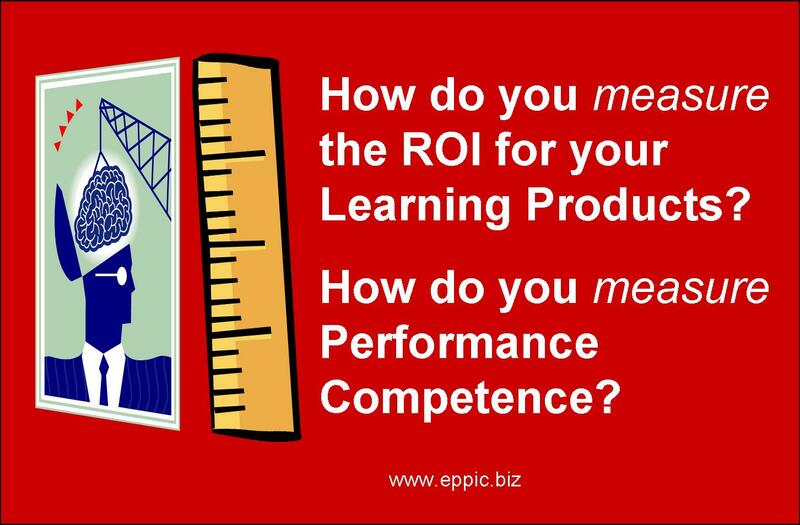 Or more recent – marketing/positioning in the biz about Performance Support being a component of Learning – when I see it totally as the other way around. Hmmm. To me – it is totally “all about Performance” – always. Measured results. Stuff like that. Not Learning. Not even Measured Learning. Not even if you’ve got a new 1-2-3 Step Model to replace the 1-2-3-4-5 of ADDIE. Unless measured within the context of authentic performance – real or simulated – your ADDIE-like or ADDIE-NOT-like approach – is successful in those real worlds – your model may not quite be proven. 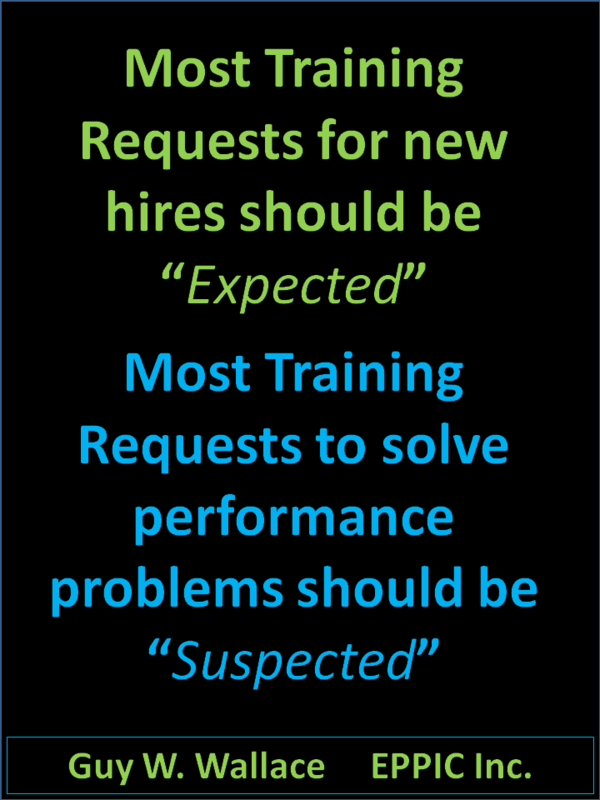 And of course it should get the job done efficiently – getting others to greater Performance effectiveness ASAP and at least cost. ADDIE is simply a project planning, project management framework. It is not a design framework. It can be applied to ID, but it is not ID – Instructional Design. But the idea – IMO – is have an inkling of a clue about What you are trying to achieve with Whom in what Context – and design it to do that before building and buying a bunch of stuff hoping that it will work and achieve the desired end state. And then implementing it, per the design and implementation plan – and measure the future state results from the baseline staring points of the current state. You know. For Measured Results. 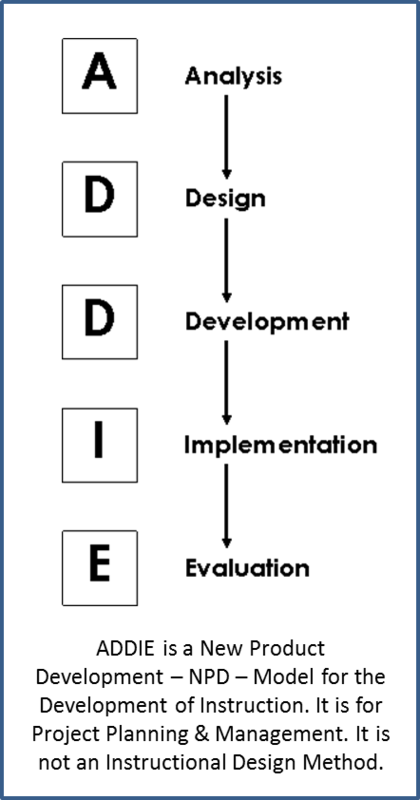 ADDIE as a framework – is only as good as the micro outputs and tasks within each phase or block of the model. That’s got to be solid. And those tasks and outputs will be only as good as the infrastructure put in place to enable the ADDIE Processes – and the human talent that manipulates that infrastructure. Because it didn’t quite flow. For me. Release – as in Phase 6 above – is “to the Deployment Systems and/or Access Systems” after the New Product Development effort. And MCD – my version of ADDIE – isn’t always the starting point. Often the starting point is a CAD effort. 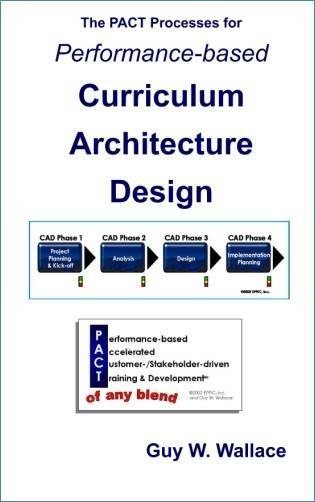 CAD efforts produce Performance Development Paths – a.k.a. : Learning Paths or T&D Paths or Development Roadmaps. 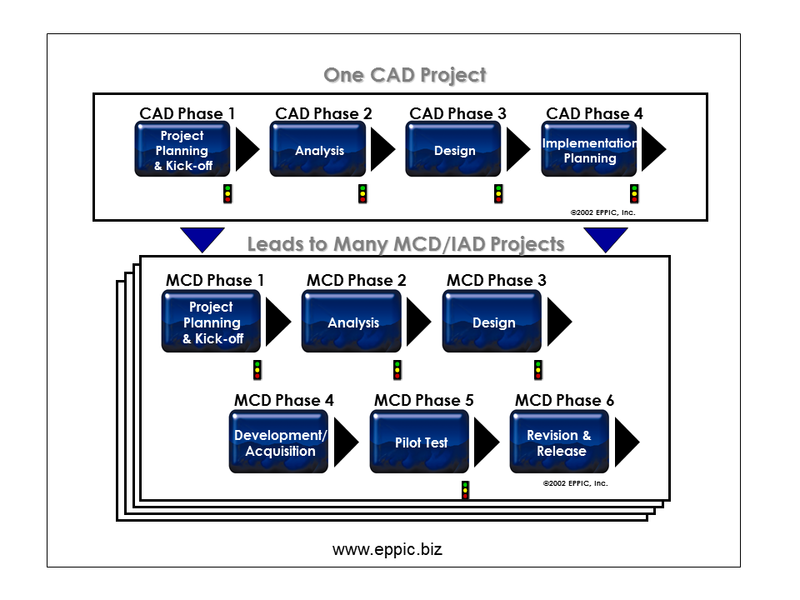 One CAD effort leads to many MCD (ADDIE) efforts. Just as the design of a neighborhood leads to roads, sidewalks, parks, water and electrical infrastructure, plus houses and driveways with phone and cable TV, CAD efforts lead to the development of many components necessary to learn how to perform. And hopefully some of the content produced for PUSH Target Audiences – can be shared “as is” or “after modification” for PULL Target Audiences. It’s tricky – because authenticity is so critical for many in any job Target Audience. The human variable. Plus many jobs with the same job title as very different from others with the very same job title. So… The job variable. Or why bother? If not for the ROI? ROI that was carefully calculated or more intuitively perceived or not. And then… Measured as planned – and lessons derived, shared, reinforced, measured – and hopefully – learned. 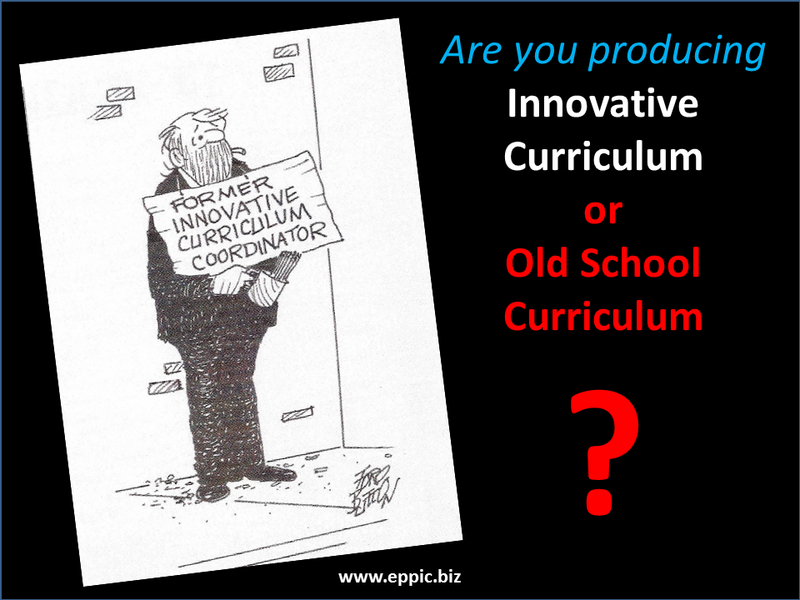 The Problem could be in how your Learning Objectives come about. Or, how your project objectives come about. And who is involved and who is not involved. And how they were involved. And when they were involved. That’s your real ADDIE-like Process. It’s in the details – it’s not just having done some A followed by D leading to some other kind of D – taking FOREVER – then finally – a quick I and then eureka: E.
Usually – IME – most every step in my clients’ ADDIE-like Processes were extremely “truncated” – to put it politely – as their internal clients had long ago grew intolerant of their methodical but too-slow ADDIE-like Processes. Too unpredictable in terms of schedule and costs and burdens on the players. And so now they jump through flaming hoops quicker and higher than ever – and Just Do It – using the tool/app/theory of the day. Your focus may be too narrow. And it may have been defined that way since the Intake of the Request. Since Day 1 Moment 1. You might be too focused initially on tasks – and immediately on Training/Learning/Performance Support/Whatever – and not seeing enough of the bigger picture of the Big Picture of Performance – where finally your initial target contributes or impedes the production of products/services within Processes that exist and contribute or impeded other Processes within larger Value Chains within Global Industries interacting with other Global Industries. Or your focus is too broad. The trick is to find the sweet spot. Just right. 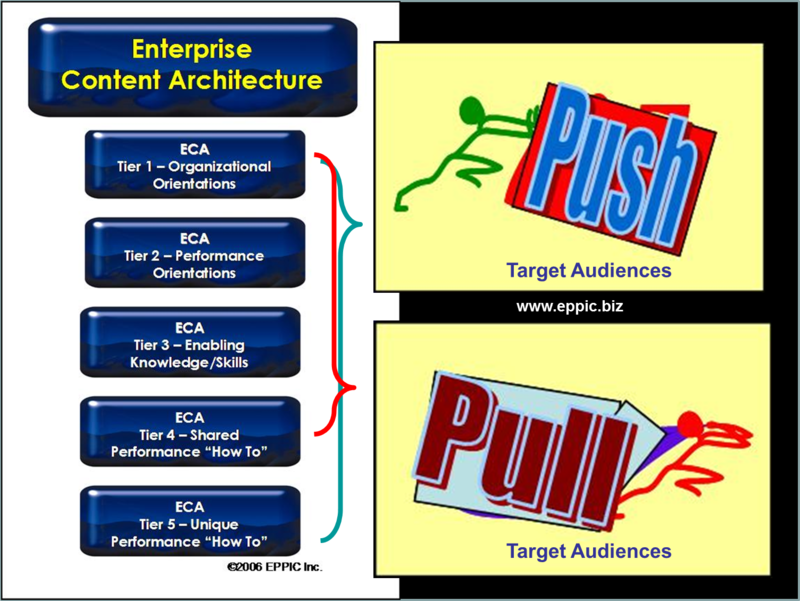 When doing the Design Phases of either of my CAD or MCD (ADDIE) processes – I “frame/tag” content according to the configuration and sorting rules of my 5 Tier ECA – Enterprise Content Architecture – as I am all about Content ReUse (“as is” or “after modification”). I create Content that can sometimes be both for PUSH and PULL Audiences. Is all this rigmarole necessary? Is it efficient and effective? Can it be screwed up? 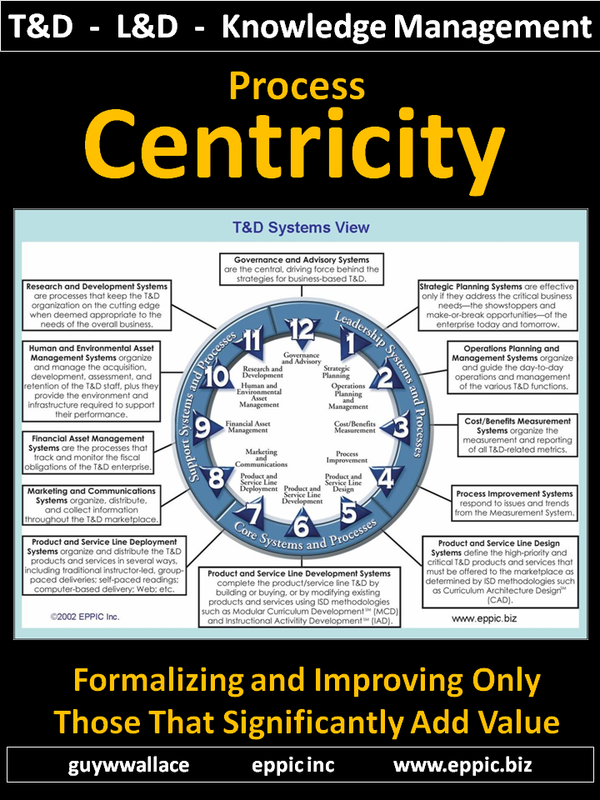 In all fairness – most of my ISD efforts are not one-offs – they more typically follow on the heels of a CAD effort. They are most often for very critical Target Audiences – who are critical only because the Processes they work in a business critical – of high Risk and/or Reward. And Informal approaches to Learning HOW TO PERFORM may be deemed inappropriate – as too RISKY. 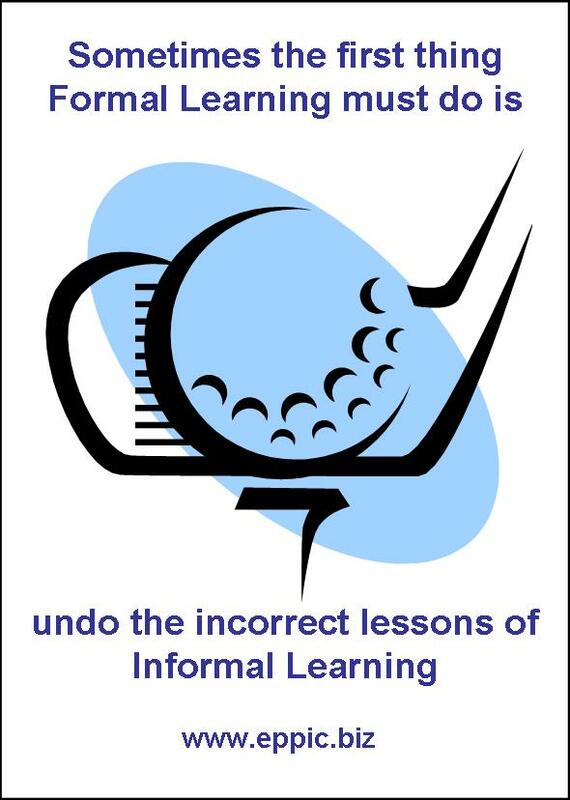 Not that Informal Learning won’t be involved too. Can’t be helped. But – it’s not always a good thing. 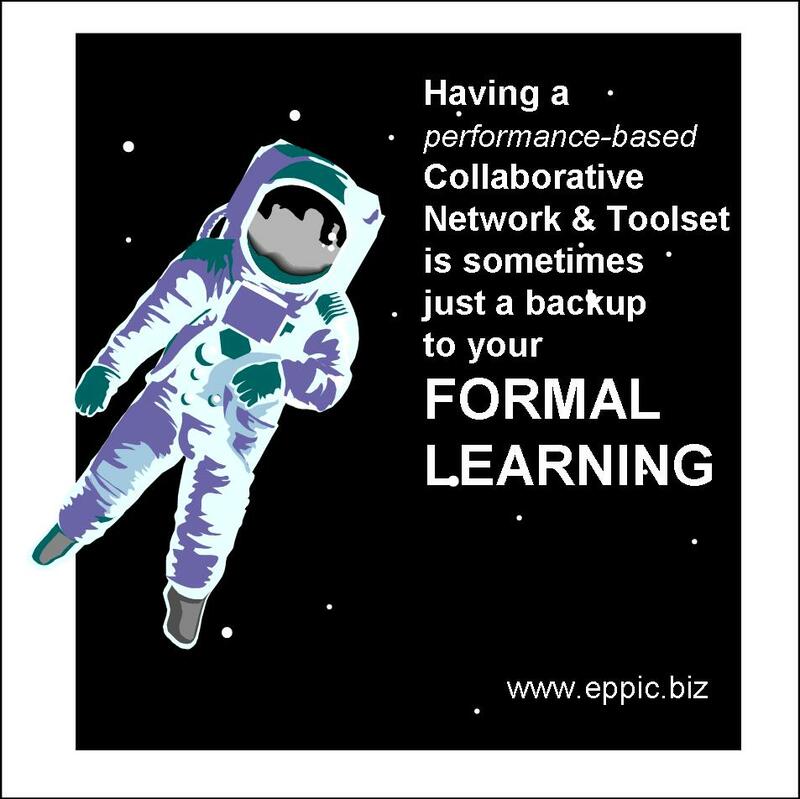 Sometimes Informal Learning involves bad practices. Myths. Behaviors that seem appropriate – when the real ones needed are counter-intuitive in certain situations. It too is an adaptation of ADDIE. Intentionally. 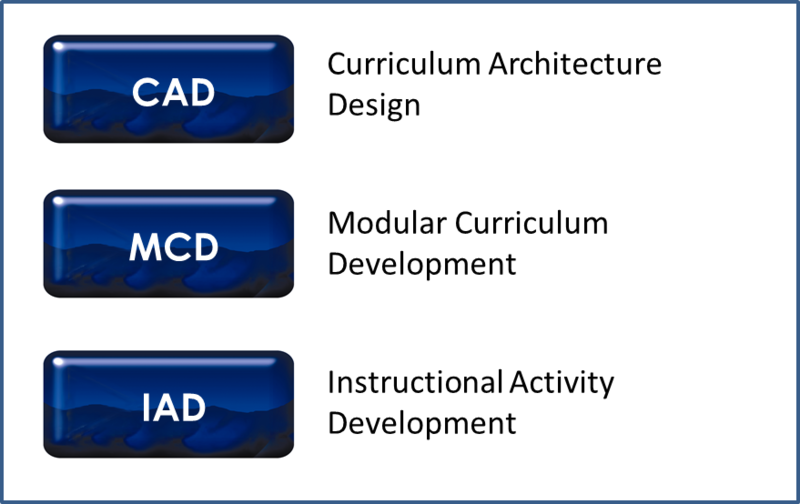 CADs don’t have to precede MCD/ADDIE-like efforts. What’s Under the Covers of Your Boxes? If the phases or stages or blocks of your version of ADDIE were Boxes – what would be in each? What are the Tasks leading to what Outputs and Outcomes? The devil is in the details – same as it ever was. IME – In My Experience – being in the ID/PI fields since 1979 – and as a consultant for 75+ clients since 1982 – is that most ADDIE-like approaches are non-detailed. Too General. Not specific in terms of outputs and tasks. Very Loosey-Goosey. Some go the other way – and are too rigid – but those are rare. Mine do look too rigid to some – but indeed they are flexible – adaptable further – IME and in the experience of tohers who have been formally or informally developed in the PACT Processes. Here is my adaptation – of ADDIE – on the cover of the 2011 book that address this component of my PACT Processes for Training/ Learning/ Knowledge Management. 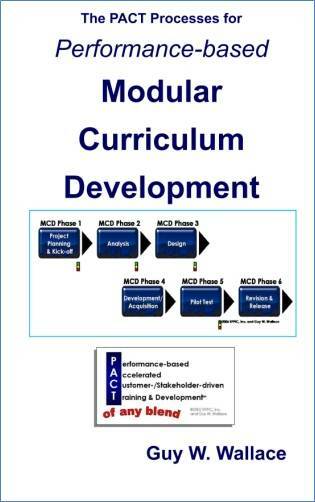 It fits within a context of a pre-Process for developing a Training & Development Path – a.k.a. 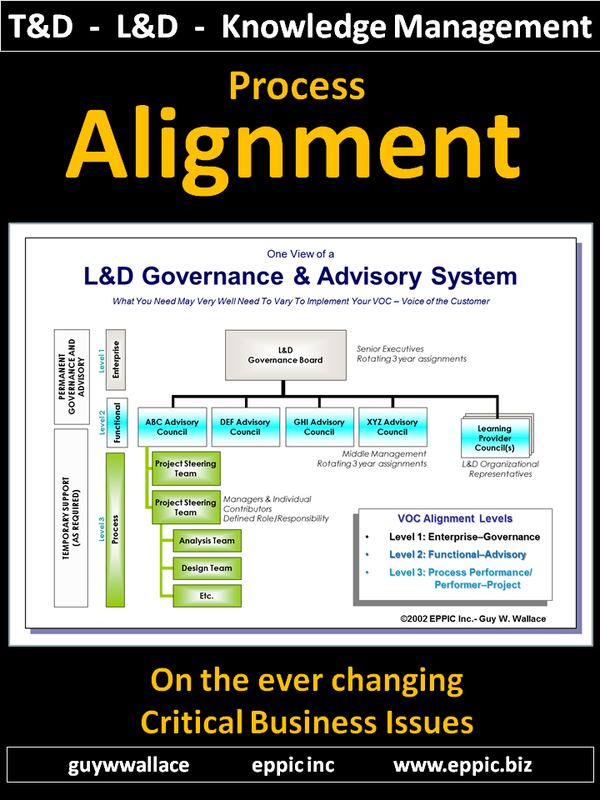 : Learning Path, or Performance Competency Development Path – that I call Curriculum Architecture Design – and here is the model – another ADDIE adaptation if you will – on the cover of the book that deals with that portion of PACT. 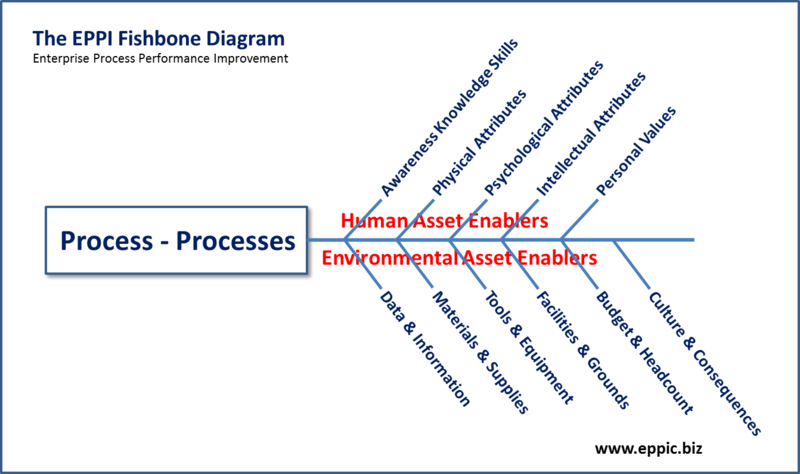 But – whatever your adaptation – in terms of it being EFFECTIVE and EFFICIENT – it all comes down to 1) The Process, 2) the Environmental Asset Enablers, and 3) the Human Asset Enablers. Number 3 is about the WHO is doing WHAT (Tasks) with what in order to produce WHAT (Outputs) to the Requirements and Constraints of the Stakeholders. What your adapted (deliberately or inadvertently) ADDIE-like efforts, your approach to ID or PI have at the detailed level – and who does what – and how skilled they are – means everything to you achieving the desired future state. The key questions for you are – is my ID/PI Process good enough – and are the people doing the Tasks within that Process – Skilled enough? 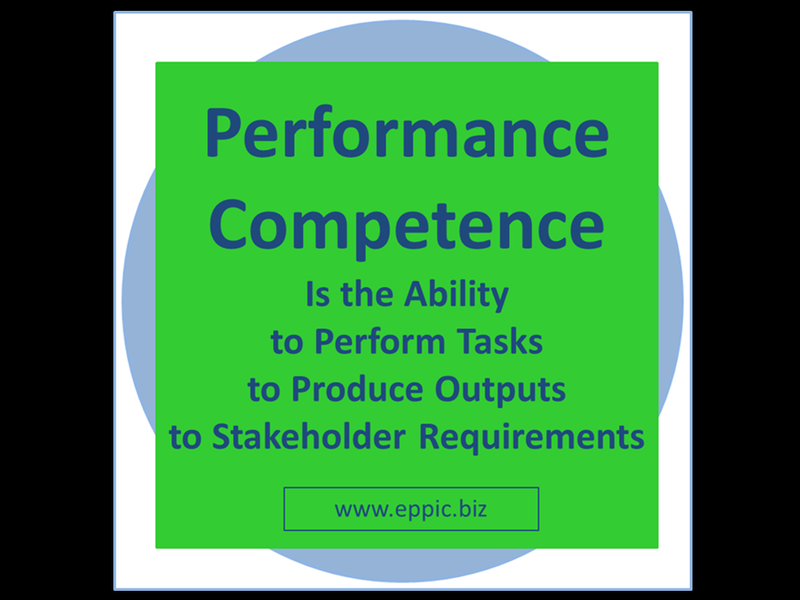 Do they have the Performance Competence needed – to build the Performance Competence of others? What that looks like – depends on your Processes. 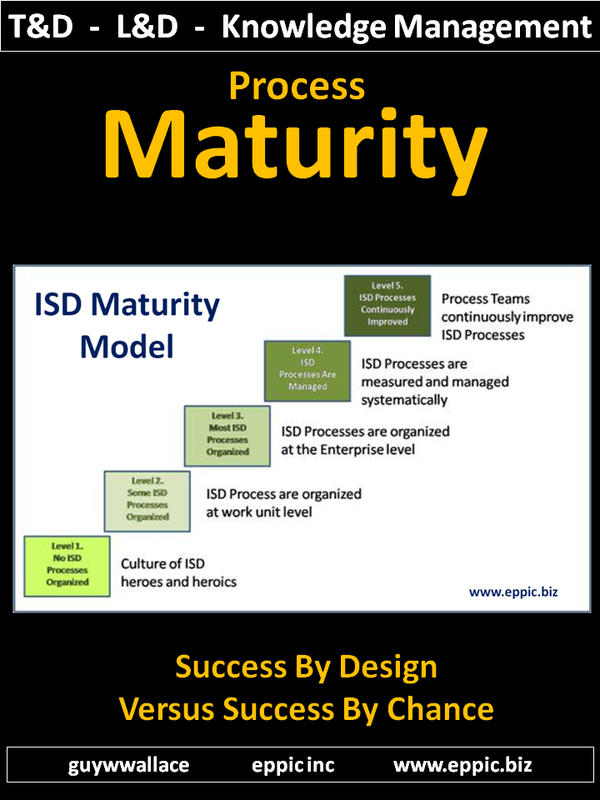 Your ISD and other departmental/functional processes. And then it depends on what Infrastructure you’ve put in place to enable those processes. Same for you as for your internal clients. Start with your ADDIE-like Processes – those that produce whatever then gets delivered and/or accessed. Yet another insightful post, Guy. The part that especially resonates with me is the “marketing/positioning in the biz about Performance Support being a component of Learning – when I see it totally as the other way around”. I agree with you.